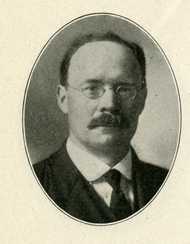 Judge: Kimball?, Minnesota (Justice of the Peace); 1??? to 1??? Municipal Government: Kingston, Minnesota (Assessor); 1??? to 1??? School Board/Administration: Kingston, Minnesota (School Board Clerk); 1??? to 1??? He was born near Karlstad in Ed Parish. He came to La Crosse, Wisconsin in 1891 and moved to Meeker County, Minnesota in 1893. 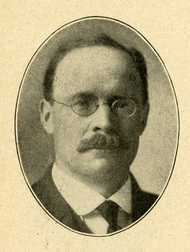 He was an unsuccessful Farmer-Labor candidate for Governor of Minnesota in 1922 and 1926. He was an unsuccessful candidate for the Farmer-Labor nomination for Governor of Minnesota in 1936. 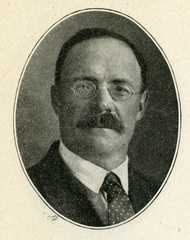 He was a member of the Farmer-Labor Party. He was elected, on the Farmer-Labor Party ticket, to fill the vacant United States Senate seat caused by the death of Knute Nelson in 1923. He was an unsuccessful candidate for reelection to the United States Senate in 1924. He died in Litchfield, Minnesota where he had sought medical treatment. He was buried in Dassel Cemetery in Dassel, Minnesota. Occupation: Farmer/Vice President, Equity Co-operative Grain Exchange/Vice President, Farmers' Terminal Packing Co.
Brown, Curt. "Minnesota History: The Most Interesting State Politician You Might Not Have Heard Of." Star Tribune, November 1, 2014. Johnson, Magnus. Biographical Directory of the United States Congress.